Start packing your bags, it’s time for a vacation from stress. 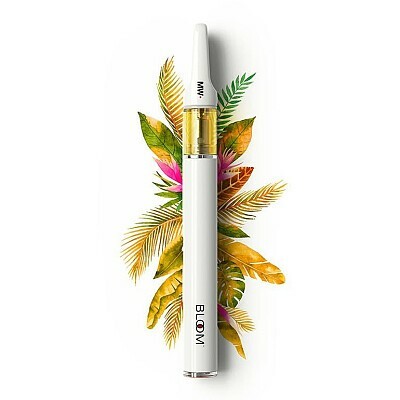 With The Bloom Brand Maui Waui BLOOM ONE, the Sativa-dominant effects and tropically sweet terpene profile of Maui Waui are perfectly extracted in a pen you can throw away when you’re done. The Bloom Brand’s easy-to-use disposable vaporizer holds 300 mg of premium, ethenol-extracted Bloom Oil with 70% THC concentration.